Holden, a subsidiary of General Motors, is one of the most popular car brands among Australians. For over 60 years this renowned car manufacturer has offered to its customers nothing less than complete confidence with its high-quality vehicles loaded with various safety features and impeccable performance. However, just like anything mechanical, Holden cars are also prone to certain problems. New or second hand Holden car buyers should consider the most common Holden repairs before their next purchase. 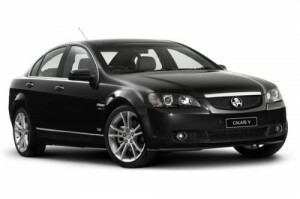 For example, Holden Commodore VE and VZ models with the 3.6 alloyed engines are prone to timing belt and gear problems. VE is the first Commodore model solely designed in Australia and it was introduced in 2006. This model features improved suspension and even weight distribution allowing easy handling. Most problems initially show as a fault code on the dashboard and they are not serviced in time, they can lead to poor engine performance followed by loud engine noise and eventually ending in a major engine problem. Therefore, have your Holden car serviced regularly by an authorised mechanic workshop, such as the Automotive Experts to avoid these issues. If, however, you’ve been unfortunate enough to already have some problems, please give us a call or walk into one of our workshops for a quote. If you own or are considering buying a Holden Captiva, be advised that the most common problems for this model are faulty brake pedal clips, indicator lights, fuel leaks, and engine malfunctions. This crossover SUV model, which was firstly launched in 2006, is manufactured in GM South Korea subsidiary. If you believe your Holden Captiva has any of the above defects, get one of our Automotive Experts to conduct a thorough car inspection. Safety shouldn’t be left to chances. And, even though, advances in technology have made numerous features available to help reduce safety risks, regular Holden service on any mode is of utmost importance for increased safety, improved fuel economy and impeccable engine performance. The well known Holden Astra model is also prone to timing belt problems and some of the other issues include rear brake noise, cam belt replacement every 60,000 km and steering lock jack. 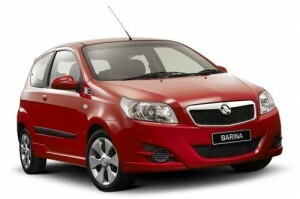 The Holden Barina, one of Australia’s top-selling cars, is most prone to faulty ignition module but since it has effective bumpers which protect headlights and radiator has the maximum five-star safety rating and is cheapest to repair. In any case, conducting regular Holden service will help you avoid costly Holden repairs. We, at The Automotive Experts, offer exceptional Holden car service and the flexibility of choosing a service in three different locations in Melbourne, Brunswick & Knoxfield at affordable prices to fit your budget. Our team of experienced technicians will put your mind at ease. We can service and repair any car make or model and have the latest technology in equipment and staff that is committed to you. It is what we do best and it’s all we’ll continue to do. We are why you should feel confident about owning a Holden.